Premium USB 3.0 Extension Male A. 15 FT USB 3.0 Extension Cable. Male A to Female A Nicker Plated Connectors. To Female A CABLE. High Purity Oxygen Free Copper Conductors. USB 3.0 Extension Cable. Optimum Aluminum Alloy Shell (Not Low Cost Plastic). 140x Hard Jumper cable for breadboard Arduino. Jumper Cable for Arduino Breadboard. Dupont Wire Jumper Cable for Arduino Breadboard. 40pcs 20cm Female To Female Dupont Wire. 40pcs 20cm Male To Female Dupont Wire. 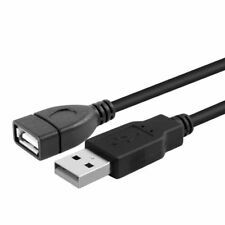 USB 2.0 A Male to B Male Cable - 15FT. 15 foot length, great for external drives, printer, scanner, CDRW, etc! Latest USB version 2.0 specification, supports the new High Speed data rates of the latest USB 2.0 peripheral devices! USB 3.0 A Male to A Female Extension Gold Plated Cable - Black. Extend the reach of your USB 3.0 devices with our USB 3.0 compliant usb extension cables. 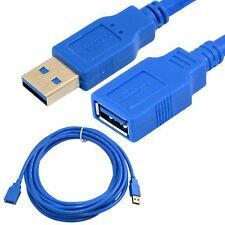 USB 3.0 A Male to A Female Extension Cable. Connect your devices with USB mini B connector using this USB 2.0 A Male to USB Mini-B Male Cable from Monoprice!This cable features a standard USB A male connector on one end and a 5-pin mini B connector on the other. It uses 28AWG conductors and is shielded using braid and foil shields. *** 30-day easy returns. No restocking fee. Free lifetime technical support. Limited lifetime warranty. ***. Length : 15ft. This is a Standard USB A Male To Male A Cable. 1 x USB Type A Male to Type A male Cable. Connectors: Left and Right: 4-pin USB 2.0 Type A – male. This cable easily connect printer, scanner or any other USB device to your computer. USB Type A Male to Type B Male. A to B cables are used to connect from your USB port on Hub, PC or Mac to your USB device such as printer or scanner. 15FT USB 2.0 type A Male to A Female Extension Cable. Length: 15FT. This USB 2.0 type A Male to type A Female Extension Cable USB 2.0 certified and is perfect for extending a USB cable. USB 2.0 type A Male to A Female USB Extension Cable. Length : 15FT. This is a Standard USB A Male To Male A Cable. This cable easily connect printer, scanner or any other USB device to your computer. 1 x USB Type A Male to Type A male Cable. Connectors: Left and Right: 4-pin USB 2.0 Type A – male. USB type A male to type A female connectors (USB extension cable). Standard USB Extension Cable. Cord Length: 15 FT. USB 2.0 Compliant. Exceeds all USB specifications. Note: Product image may be slightly different than actual product received. USB version 2.0 specifications: supports High Speed data rates of USB 2.0 peripheral devices, and it is also fully compatible with all earlier USB devices. Connect a USB peripheral to an USB Hub or USB port on PC/Mac. One 15FT USB MALE to Mini B 5 Pin Cable. USB 2.0 MALE A to MINI B 5 PIN Gold Plated Cable - 15FT Black. Cable lenght: 15ft. High Speed USB 2.0 Cable. Note: Product image may be slightly different than actual product received. Enjoy SuperSpeed USB 3.0 data transfer rate at up to 5 Gbps, 10x faster than USB 2.0 Commonly used for gaining cable length to printers, USB displays, game console controllers, etc. Connect any USB 3.0/2.0/1.1 device with no performance compromises Active USB extension cable, assure good signal quality to meet USB specification; Plug and play, bus-powered required no external power supply Connect remote USB devices such as printers, scanners, keyboards, mice, speakers, displays, etc to your computer. Compatible with all major operating systems, Windows 10, 8, 7, Vista, XP, Mac OS, Linux, PS3 Move, PS4, Xbox One, Xbox 360, Kinect . Also included is a reinforced Ferrite core to filter out signal noise and reduce transmission errors and full-lined shielding to protect against external signal interference. Available in High-Visibility Orange. This is a male to male USB 2.0 cable with one A-type connection and one B-type. Type A is typically the style of connection found on the backs of PCs. USB 2.0 cables are backwards compatible as they can carry a USB 1.0 and 1.1 signals. USB 2.0 cable. Standard, USB-A Male to USB-A Male. Length: available in 10ft (3m), 15ft (4.5m). Connector 2: Mini-B (5-pin) Male. Constructed with Gold Plated connectors, braid & foil shielding, and single ferrite core for superior performance helping to filter out electromagnetic and radio frequency interference (EMI & RFI) to ensure smooth corrosion-free error-free connections. Highly visible yellow 16FT/5M long USB 2.0 A to Mini-B 5-pin gold plated tether cable. Works with Canon EOS 1D, EOS 1D C, EOS-1D Mark IV, EOS 1DX MK III, EOS 1D MK IV, EOS 1Ds MK III, EOS-300V, EOS M, 7D, 10D, 20D, 30D, 60D, 70D, 100D, 400D, 40D, 500D, 50D, 5D, 5D MKII, 5DMKIII, 6D, 7D, Digital Rebel XS, Rebel XSi, Rebel XTi, Rebel XT, Rebel T1i, Rebel T2i, Rebel T3, Rebel T3i, Rebel T4, Rebel T4i, Rebel T5, Rebel T5i Rebel XS, T6i, T6s, Rebel SL1. One wire transfers data and the other transfers power. That’s why there are 2 numbers that describes each cable. IE: 28/24. The first number refers to the thickness of the data wire while the second number is for the thickness of the power wire. Printer Scanner Cable. Use this cable to connect your printer or scanner to your computer to give you a secure connection for all of your printing and scanning needs! Connects your printer or scanner to your computer. High Speed USB 2.0 A Male to B Male Printer / Device Cable 15ft. USB 2.0 Printer / Device Cable Length: 15 ft. Compatibility: PC / MAC, Printers, Scanners, External Hard Drives and other USB Devices. This 15 foot USB 2.0 Male-to-Female Extension Cable are perfect for extending USB cables and USB peripherals such as printers, scanners, webcams, etc. It is made with flexible jackets for maximum usability.